Samsung mobile has just released an Android powered affordable smartphone, very much cheaper than Samsung Galaxy Y, so we should ask why it is affordable? Being a Samsung brand, great specs, and less price. To start with Samsung Galaxy Star DUOS specs. Processor will be 1Ghz single core, 512 RAM, 4GB internal memory, and running on Android 4.1.2 Jelly Bean that's the latest software you got there, Dual SIM capability, the screen is not that wide which is just 3.0inch, not bad huh. All this amazing features for only Php3,990 SRP. 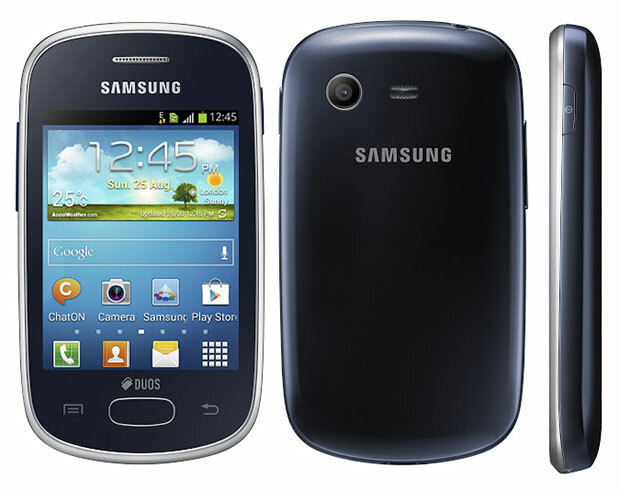 Again Samsung Galaxy Star DUOS is priced at Php3,990 in the Philippines, available now on Samsung Mobile stores nationwide. Android Jelly Bean OS - With the latest Android software, app compatibility is not an issue. DUAL SIM - But of course, DUAL SIM on a Php3,990 Samsung phone. No more further explanation with that. Durability - Being an Samsung mobile brand says it all. Thin Body - Although 11.9mm body may not be the thinnest, but a 2.0mm would not make a big difference. Quite huge RAM - 512RAM is no joke at all, although it can't run HD games, Samsung Galaxy Star DUOS can run most of the apps and casual games. Have this phone? Kindly share your experience here at mobile31!